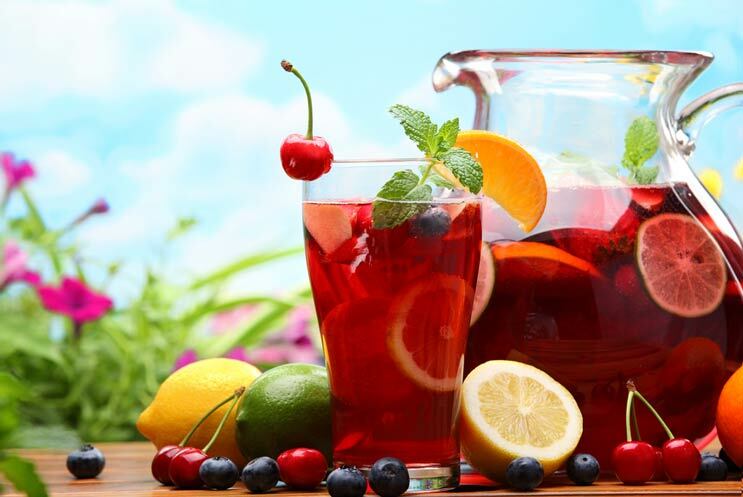 It’s not a summer party without the perfect sangria recipe. This cocktail is cool, fruity, boozy and so simple to make enough for a crowd. We’ve rounded up eight delectable recipes for sangria that range from light and bubbly to deep red with a kick. Now you have to plan eight parties so you can sample them all! 1. 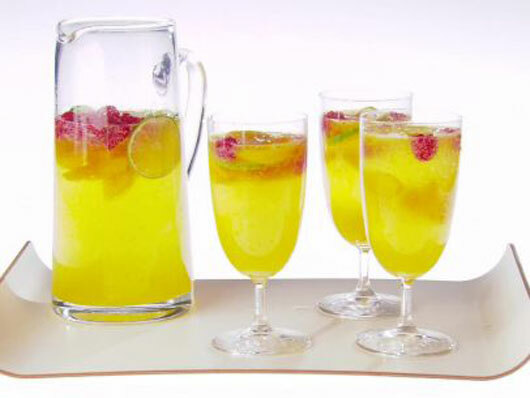 White Sangria Sparkler This sangria recipe also uses fresh mint and sparkling white wine. Kiwis, peaches and raspberries make it a colorful beverage with complex layers of delicate flavor. 2. 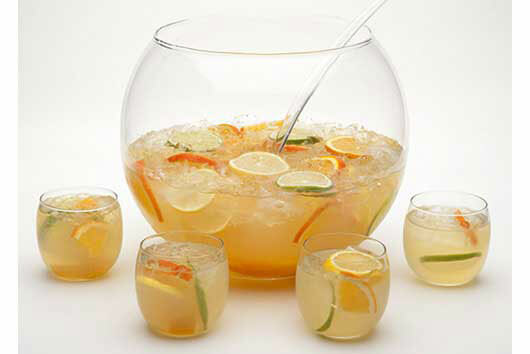 Basil White Wine Sangria For a spicier cocktail, try this Basil White Wine Sangria recipe. It’s a blend of lemon and lime with apples and pears for a heartier flavor. Fresh basil gives it some herbal flair. 3. Rainbow Sangria It takes a little more work than your standard chop it up and throw it all together recipes for sangria, but Rainbow Sangria definitely has that wow factor. You can prepare separate glasses ahead of time or pour the wine mixture over the fruit as you serve them. 4. Tequila Sangria Bobby Flay’s Tequila Sangria is fresh and citrusy with that incomparable tequila bite. 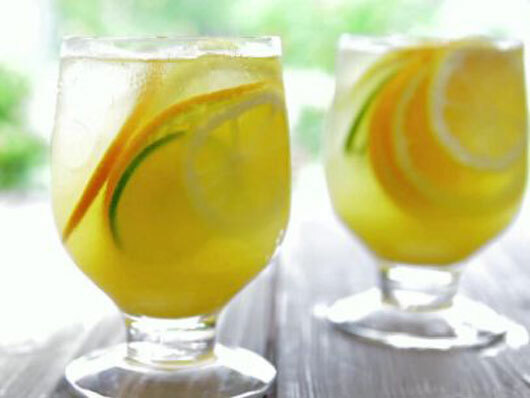 It’s made with lemons, limes, oranges, mint and white wine. So refreshing! 5. Melon Mint Sangria Refreshing watermelon, honeydew and cantaloupe with an exhilaratingly crisp dash of mint and sparkling wine make this the perfect backyard party beverage. 6. Peach, Raspberry & Lime Sangria Giada De Laurentiis knows how to put together a scrumptious cocktail that’s not too sweet. Lime and raspberry are a perfect counterpoint to the sweetness of the peaches and it’s sunny yellow color looks fantastic on the table. 7. Summer Sangria with Rum Now this is a serious sangria! Red wine and rum with plums, cherries and strawberries make a dark, decadent summer beverage. 8. 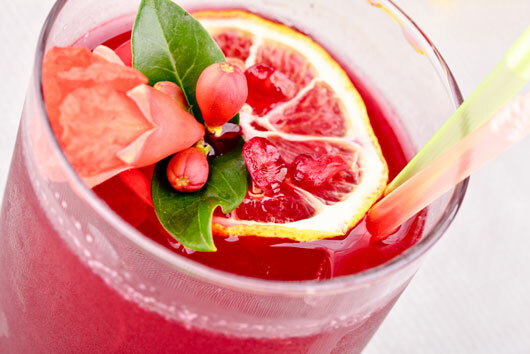 Blood Orange & Pomegranate Sangria For a rosier, lighter take on red sangria, try Blood Orange & Pomegranate. Dry rosé and brandy with these slightly tart fruits create a subtle, not too sweet taste.